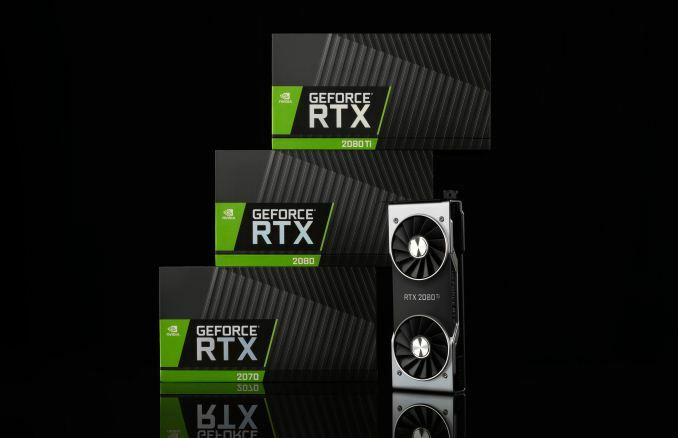 Powered by 6 gigs of DDR5 memory and 1280 CUDA cores, it has a turbo clock of 1700MHz, giving a maximum compute performance of 4.4 teraflops. 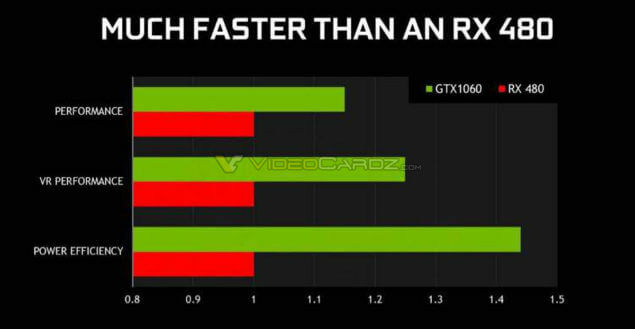 An interesting point to note is that the 1060 is also more efficient than the RX 480, with a rating of 120W TDP provided by NVIDIA themselves, compared to 150W on the RX 480.That means that it is almost 1.4x more power efficient, however the graph values start at 0.8. 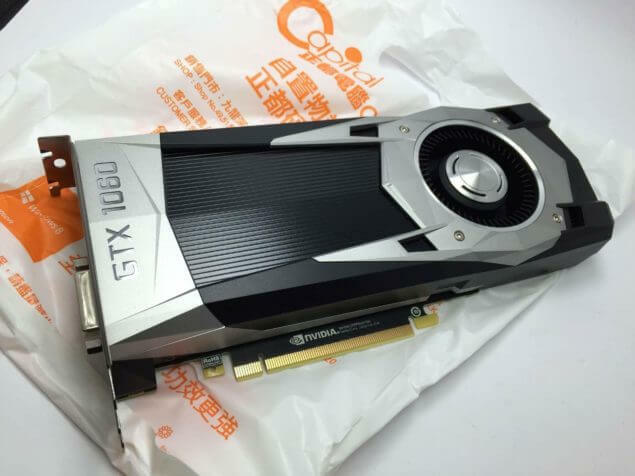 Talking of the RX 480, the speculated GTX 1060 seems to run circles around it when it comes to performance.With an expected launch time of July, the revealing of the official slides further seems to indicate towards a 7th July launch! The leaks also undress the card itself, and it is the new Founders design indeed. 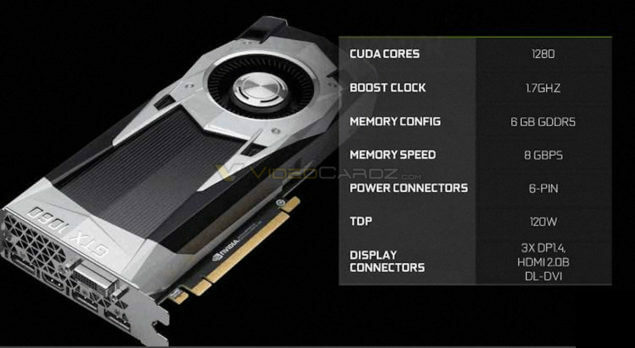 The GeForce GTX 1060 will also be using the reference Pascal display configuration of three Display Port 1.4, single HDMI 2.0b and also a single DVI port. 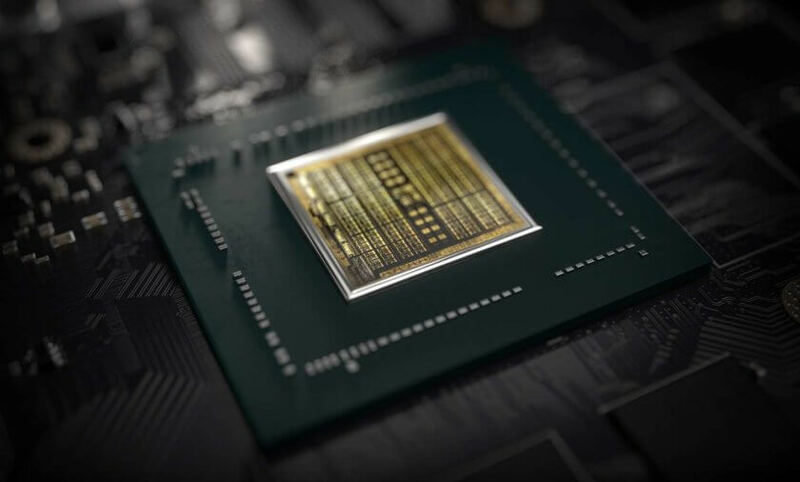 The 1060 would feature just 120W TDP and power would be provided through a single 6-Pin connector. 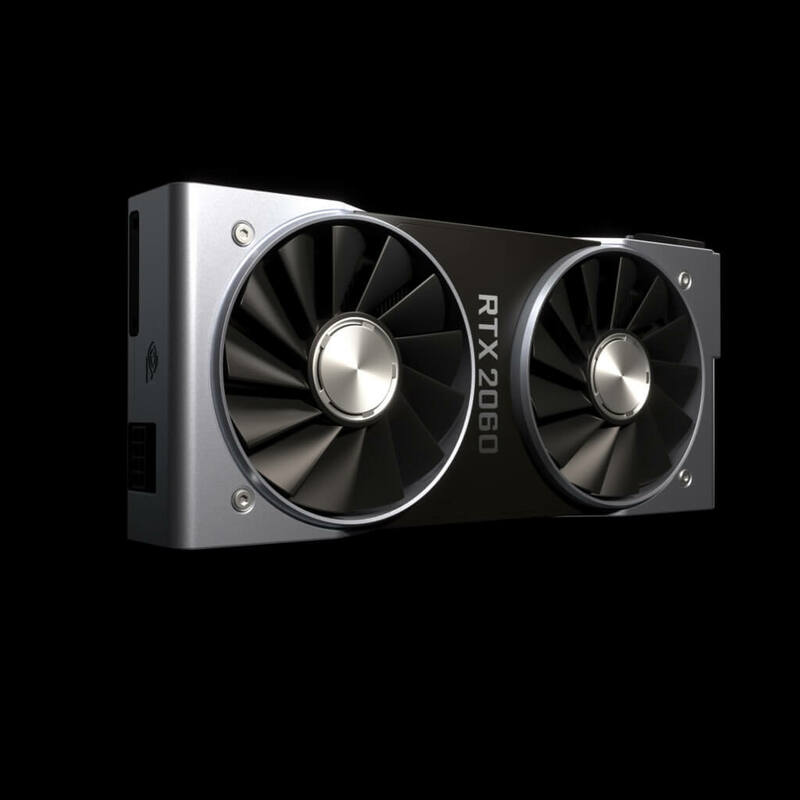 This means the card features an even lower TDP than the RX 480 which has a suggested TDP of 150W but can sip more than that as seen in reviews.